Early-onset Type 2 diabetes (20-43 years old) is a growing health problem in China. To better plan prevention and treatment. it is essential to better understand the characteristics and risk factors in these patients. 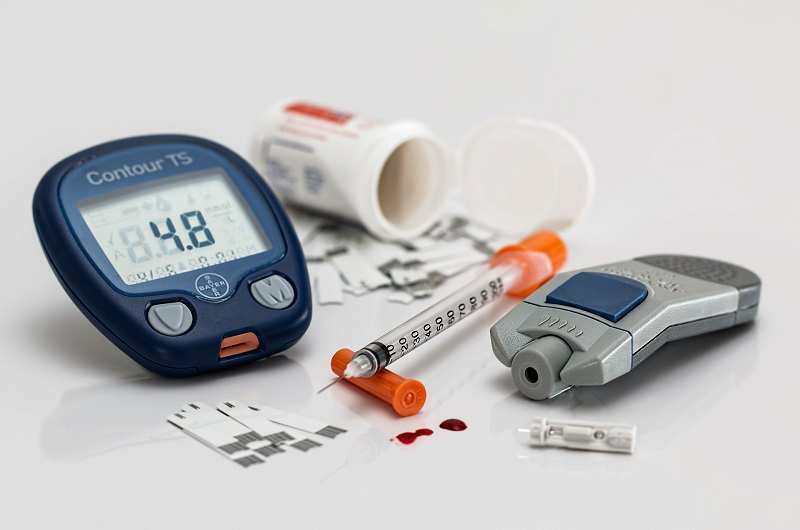 A recent review of a large group of newly-diagnosed early-onset diabetic patients in China found that they had a similar cardiovascular risk profile, but increased insulin resistance and greater beta cell failure, compared to newly-diagnosed patients in older age groups. Type 2 diabetes is a common and important medical condition in which the body is unable to control blood glucose levels. The occurrence of Type 2 diabetes usually increases with age, but in recent years early-onset diabetes (those newly-diagnosed in the 20-43 year old age group) has increased globally, particularly in Asian countries. In China it is a growing health problem. Patients with adult early-onset Type 2 diabetes have more complications related to the cardiovascular system than those who have later onset diabetes. This is largely due to the increased length of time they are exposed to the illness and poor blood glucose control. Early-onset patients lose up to 15 years life-expectancy, twice as much as patients with later onset diabetes. Understanding the characteristics and risk factors for early-onset diabetes is important for developing approaches for prevention and management. Whilst there have been previous hospital studies on the characteristics of early-onset diabetes in China, these may not give a clear picture as hospital patients often have a more severe disease. Researchers at Peking University People’s Hospital (Beijing, China), reporting recently in Science Reports, wanted to investigate patients newly-diagnosed with Type 2 diabetes in the general population. The China National Diabetes and Metabolic Disorders Study (June 2007- May 2008) was a large survey of over 45,000 people who had not previously been diagnosed with diabetes. After testing, 2801 individuals were newly-diagnosed with Type 2 diabetes and of these 652 (23.3%) were in the early-onset group (20 to 43 years old). This proportion was much higher than the predicted levels and has caused much concern and discussion about what effective actions should be taken. The researchers recently reviewed data from these patients in order to identify their particular characteristics and risk factors. The early-onset group had a similar cardiovascular risk profile to those in the older age groups, although the prevalence of cardiovascular disease was lower. In contrast to some previous studies there was no difference in family history of diabetes or body weight/height ratio (body mass index) amongst the different age groups. Tests which indicated the level of insulin secretion and the beta cell function (cells which secrete insulin) showed that these had declined more in the early onset diabetes group compared to those older age groups. This review of the characteristics and risk factors in the early-onset group in a large population based study has given some important insights. Understanding the pattern of Type 2 diabetes in this early-onset age group will be essential for addressing the prevention and treatment of this growing health problem in China.